The Dendra Defender is a robust framelock design that is manufactured by Lion Steel of Italy. 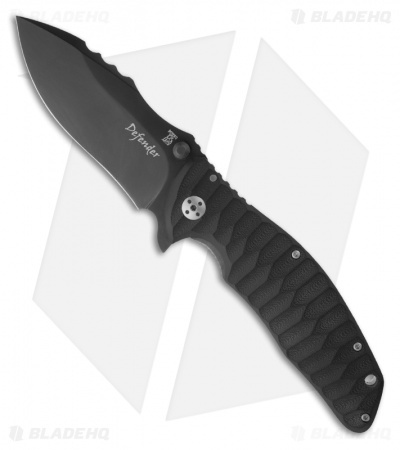 This knife has a PVD black coated D2 steel blade with a flipper and thumb studs for opening. The handle features a textured solid G-10 front and titanium framelock back side. This Defender has a black G-10 backspacer, RotoBlock lock and tip-up carry pocket clip. 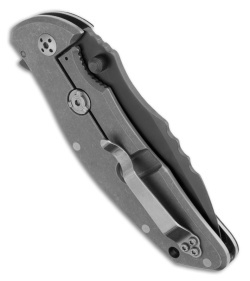 These knives may come a little tight from the factory, but a simple pivot adjustment with the included tool will allow you to set it just where you want it!